This is our web site, introduced in May 2005 which has been developed in order to give our customers and potential customers a better view of what our services and capabilities are. If you have any problems with the site or spot some errors, please let our webmaster know at Monarch Techies. Version 7.0 21st July 2007 Added video "Monarch Indexing - How We Do It"
January 2014 We are redeveloping our website - first release for January 2014, new faster video hosting - watch out for more new developments over the next few months! 25th November 2007 We are continuing to invest and grow so we can offer an even better service to our customers! 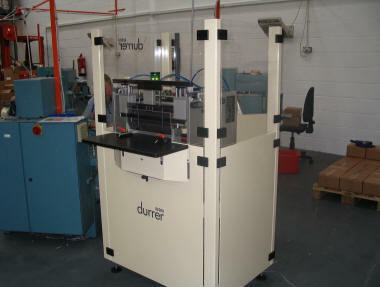 Watch out for news of our new Durrer machines we are installing! 22nd July 2007 Monarch Web Site enters the Multi-Media Age! Click here to see our new video - Monarch Indexing - How We Do It The video is seven minutes long and takes 40 seconds to download on an average broadband line. Depending on you PC this may require Microsoft Windows Media Player - go to our Useful Links page for free download if you do not already have it installed. Also, check out our new video assisted samples catalogue which can show exactly what can be done. Continuing to expand our capability and services we can offer our customers, Monarch have just installed a new specialist printing machine which provides flexible, cost-effective high-quality printing of tabs in a variety of fonts and colours. Click here for details. Premier UK book finishing service providers, Monarch Indexing, are undergoing further expansion since their relocation from London to Barnsley almost two years ago. Monarch specialise in leading edge step indexing, thumb indexing, specialist tab cutting and other book finishing services in a wide variety of publications from user guides and diaries to catalogues and dictionaries. Their impressive client base includes major blue chip companies such as Vodafone, HSBC, Alliance and Leicester and Capitol One. Sustained long-term growth has recently allowed Monarch to make the significant investment in new larger premises at Shortwood Business Park. The company are the first occupiers to move into this Priority Sites development, located just off junction 36 of the M1 motorway. The 6,200 sq. ft. unit presented the company with the ideal solution, providing ideally located, quality, modern premises that will allow for even further future expansion. The company’s Directors are already looking to the future and predict that the move to their new premises will ultimately result in a further 35-40% increase in capacity. To cope with growing demand, Monarch have purchased a new state-of-the-art purpose built premises, about two miles from the Dodworth plant. This will become the main production unit, the existing factory being retained for specialist work and storage. The new factory currently being commissioned and will come on stream in the next couple of months. Continuing the expansion of Monarch's automated capability, we have recently installed a new state of the art, high-performance Durrer automatic step indexing machine which specializes in the rapid, high-quality indexing of small book formats. More generic machines cannot match the speed and precision which can be achieved with this machine. 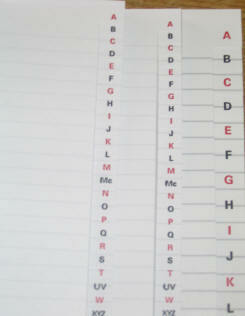 The new machine also has the added-value capability of printing tabs in a wide variety of fonts and colours. Look out for a future update to this site showing samples of what we can do with the new machine. Following growing demand from our customers for small book format step indexing, we investigated what machines were available and eventually decided on the Durrer Rega. We already use Durrer machines for a number of services, and our customers have been very impressed both with the performance and reliability we can achieve with them. The new machine was ordered, delivered and commissioned extremely quickly once we made our choice and contacted Durrer, and is already working on a number of important contracts for our customers. 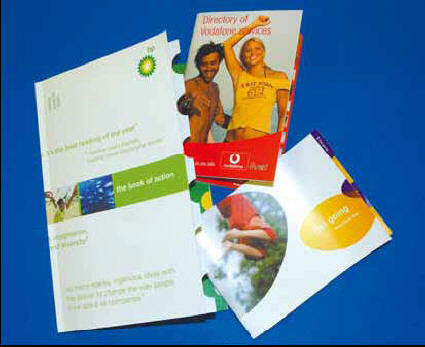 Monarch Indexing specialise in the indexing of various corporate publications including catalogues, user guides and information booklets for major blue chip companies such as Vodaphone, HSBC, Barclays Bank, Standard Life and P&O. In June 2004, Terry and Lee McCormack, Joint Directors of Monarch Indexing relocated from their premises in South London to Barnsley to take advantage of the many benefits that the town has to offer. Located on Strafford Industrial Estate, Gilroyd, the business now enjoys a strategic central location within the UK in close proximity to Barnsley town centre and the M1, junction 37. This has enabled Monarch to reach a much wider target audience and build an extensive customer base. The recent move has also brought about a number of financial benefits, particularly with site related costs. Such cost savings have contributed towards the valuable investment in cutting edge technology with the purchase of new automatic Durrer Rega indexing machines. This new piece of equipment operates in addition to existing Remat manual machines which provides flexibility and extra capacity to work on a number of assignments at any one time. The move to an automated way of working has already quadrupled the company's output and marked a major move forward for the business. The Single Regeneration Budget, facilitated by Barnsley Development Agency, has been used to help fund bespoke in-house machine operative training of Monarch's workforce. In addition, BDA have provided a valuable source of information and advice to support the relocation of the organisation, incorporating issues such as premise searches, recruitment, training and health and safety. 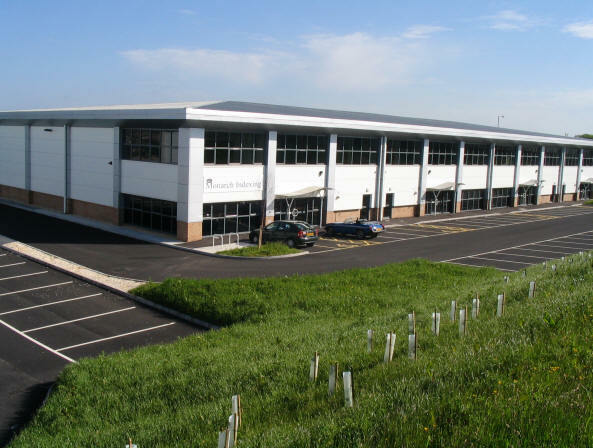 Lee McCormack, Director of Monarch Indexing, commented, "BDA have proved an invaluable source of support in all areas of our operation following our relocation to Barnsley. The SRB training grant has enabled us to establish and maintain a productive and efficient workforce capable of achieving the turnaround times to suit our clients needs. Satisfying customer requirements is something which we pride ourselves on here at Monarch." Ann Glews, Business Development Officer at BDA, said, "It is a pleasure to work with Monarch Indexing and support them in their relocation. The move to Barnsley has proved a major success for the company, demonstrating the town's potential as a prime position for businesses looking to relocate."